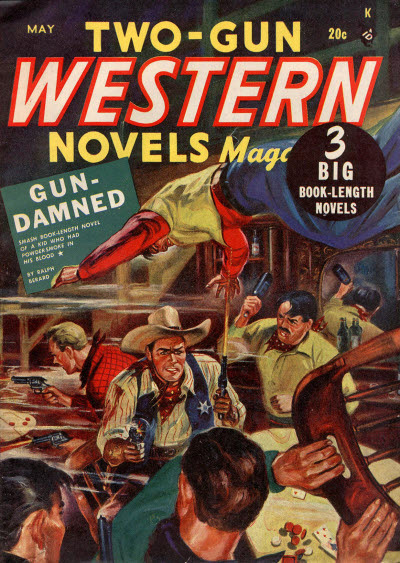 Details supplied by Jonathan Jensen. 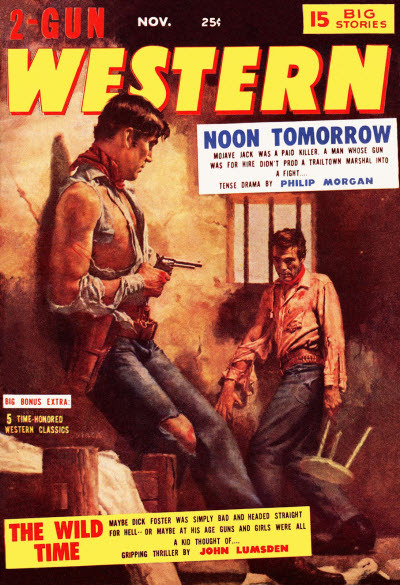 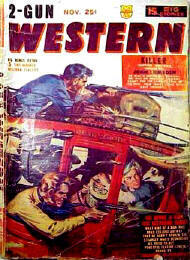 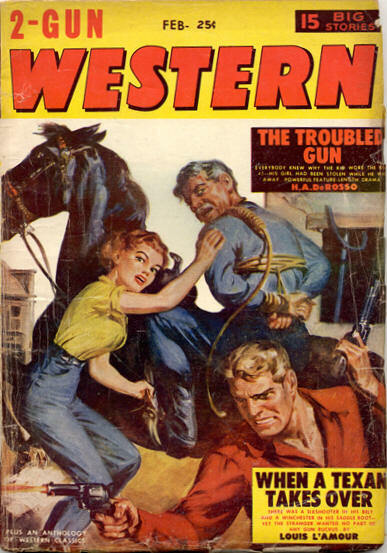 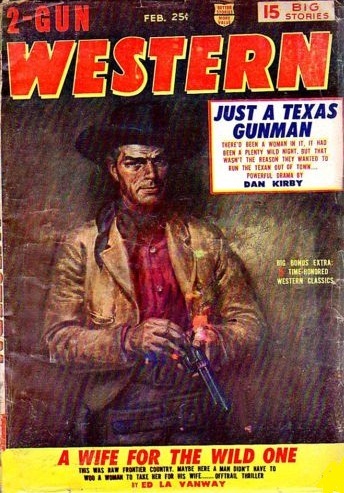 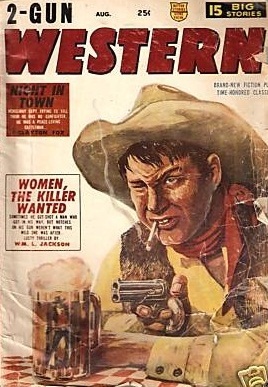 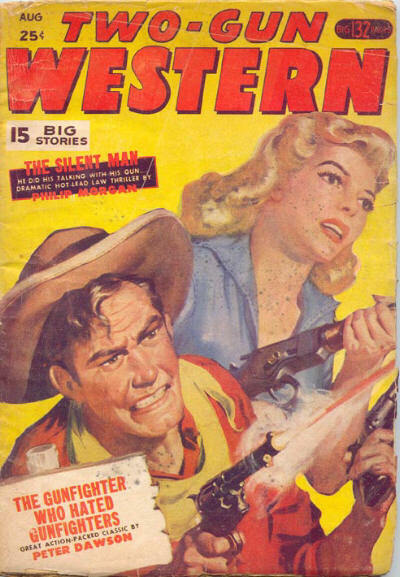 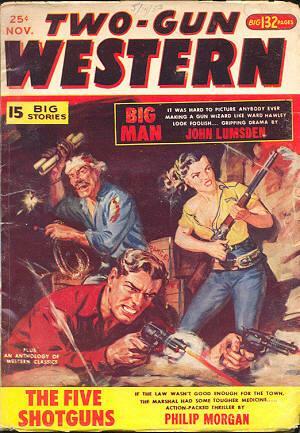 Title changed from Two-Gun Western Novels Magazine. 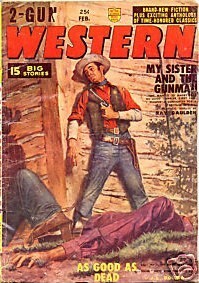 89 · They Crowded Him Too Hard · Gunnison Steele · ss 1942; copyright 1942 Newsstand Publications, Inc. 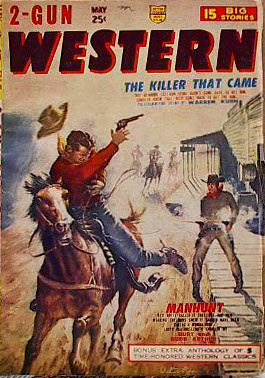 Title changed from Two-Gun Western. 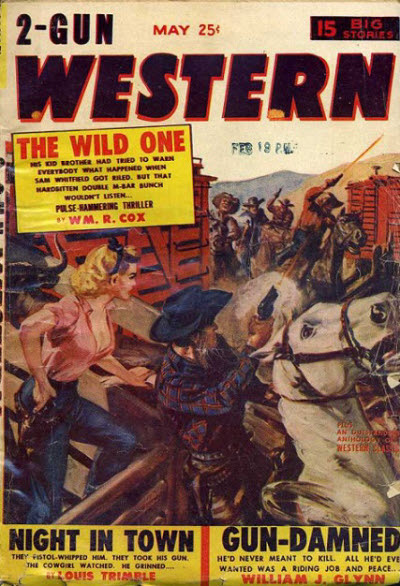 69 · Short-Cut to a Shoot-Out · Dev Klapp · ss Western Short Stories Mar 1948; probably from the March 1948 issue of Western Short Stories. 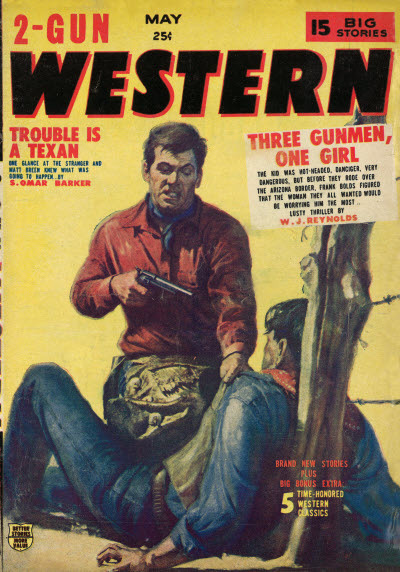 84 · Trail-Spawned Triggers · Norman A. 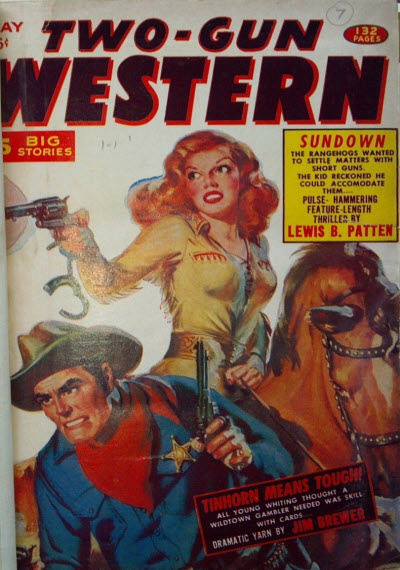 Fox · ss Western Short Stories Dec 1941; copyright 1941, Manvis Publications, Inc.
72 · Bullet Bail · Kenneth Fowler & Rod Patterson · ss Western Short Stories Dec 1942; given as by Rod Patterson.